Search Engine Optimization (SEO) is a set of rules that determines how a website, a blog, or a specific page existing on the world wide web fares against each other in search results. Nowadays, search engine marketing is more important than ever. Search engines serve billions of people every day – Google dominates the market with 57,000 search queries per second. It shows a massive dependency of people to find information online – and that’s why SEO is important for businesses of any scale. Let me explain. Firstly, when people come to a search engine, most of them come for an answer, a solution, and a person or a product that could help them. In this digital age, everything begins from search engines. In fact, 89% of buying processes start from a search query. However, the majority of search engine users tend to click only the first 5 suggestions they get from the search engine result pages (SERPs). The sooner they find your business, the greater the chance they’ll come to you. Secondly, search engines account multiple factors beyond your website’s title. They also include things like site load speed, backlinks, traffic, and many other technical jargons into the calculation. It means the websites shown first in search engine result pages are the best websites that will provide the best result and user experience. Thirdly, SEO can put you ahead in the competition. Due to the shift in how people access information these days, if two companies are selling the same thing, the search engine optimized one is more likely to get the word of mouth (or in this case, word of Facebook shares). The baseline of any good website is its content. It’s not limited to how well you make the content, but also how far it reaches. In order to create a content that reaches far and wide across the Internet, there are several ways you can choose to go. Shareable content is the kind of lightweight Internet content you scroll past in your Facebook’s newsfeed or Twitter timeline. These content include Infographics, images, GIFs, and short videos. The key to making shareable content is being quick and concise. If your content is going to be a long one, at least make the information in it useful for your audience. One of the purpose of doing SEO at all is to make your business be the go-to solution, and that can’t be done without your target audience seeing you as an expert. You can do this by creating a tutorial blog posts, case studies, or even tutorial videos. Having a characteristic is one of the keys to build a strong brand. When you create your content, make sure to develop an online persona that everyone in the industry can relate to. Before you jump in head-first into doing SEO for your business, it’s good to have a handful of basic knowledge about the subject. 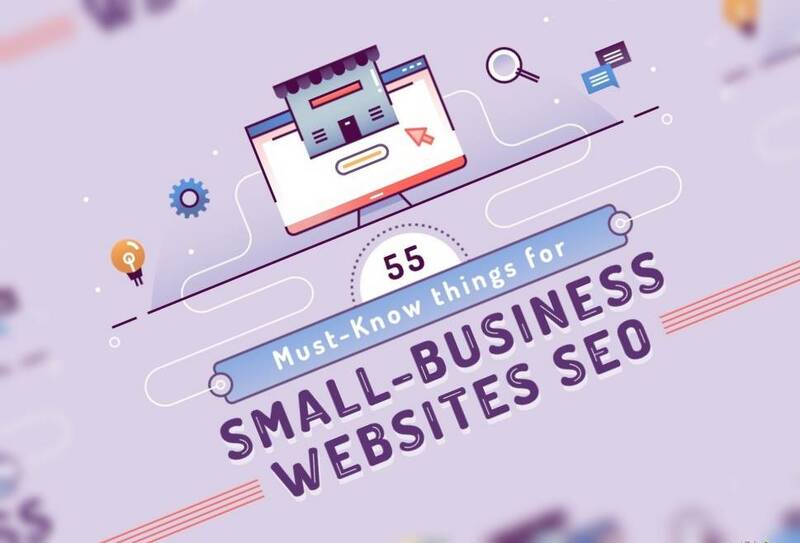 The team at Milkwhale has rounded up 55 Must-know Facts About SEO in an infographic for you.